All Souls' Day is marked on 2nd November and is an opportunity for churches to commemorate the faithful departed. 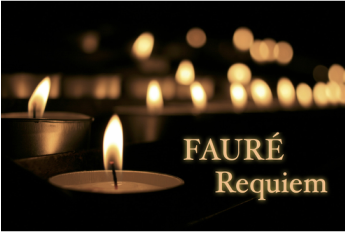 Emmanuel Choirs offer Fauré's Requiem for this poignant and moving service. 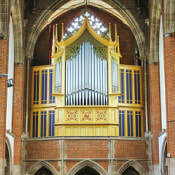 Programmes for the new season of organ recitals beginning this October have been published. Click here for more information. Saturday 22 Candlelit Christmas Concert No. 2 at 7.30 pm. ​For tickets call 0121 354 5007 or e mail us here. Christmas 2017 was very busy with usual events- Handel's Messiah, our Candlelit Concerts and Carol Services. In December the Choirs joined with Sutton Coldfield Choral Society and Sutton Coldfield Chamber Choir to sing Handel's Messiah at Sutton Coldfield Town Hall. 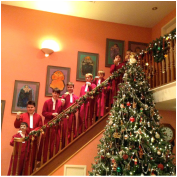 Back at Emmanuel we sang to a packed audience the very popular Candlelit Carol Concerts . This magical atmosphere is an essential part of the build up to Christmas and two concerts are planned for December 2018.